In order to have our room decorated for Easter we made paper Easter eggs this week. I cut out black ovals and the children glued on small pieces of paper they had cut earlier in the year when they were practicing their cutting skills! I really like how all the colors pop off the black background! This is a project I will do every year I like it so much! After the glue dried I put each child’s name on the back with glitter and hung them from the ceiling – I really like how they look hanging up and have gotten several compliments! On Wednesday and Thursday my my class made crosses for Easter. I cut them out of white construction paper and the children used liquid watercolors and Q-tips to paint them. I loved the end result! The liquid water colors really looked vibrant and they reminded me of stained glass! Very beautiful! I had Ms. Bennet hang them from the ceiling in our room. On Friday we had our Easter egg hunt. It rained so we had it in our room. The children were taken to another room to play with toys and do an art project while I stayed behind to hide eggs. I wrote their names on the eggs so that I knew they would all have the same amount. They could only put the eggs with their name on them in their bag. It went very well. And it helps me to see who can recognize their name and the names of their friends. Our two rules for our egg hunt are (1) You can only take eggs with your name on them and (2) You cannot tell your friends where their eggs are. Everybody had fun! We also had a special easter egg shaped cookie for snack and we drank our juice from special easter cups! They were very excited about that! We then played Pin the Tail on the Bunny. They did really well with that game and were very good at waiting their turn! To round out the day we read the book “The Legend of the Easter Egg” which talks about the ture meaning behind the Easter egg and tells about the first Easter. We also read, “My Easter Basket: And the True Story of Easter” a cute and simple way to tell the true story of Easter to young children. My children really enjoyed reading and talking about both books! In fact, we read each one a couple times throughout the day! All in all, a great end to a so-so week! 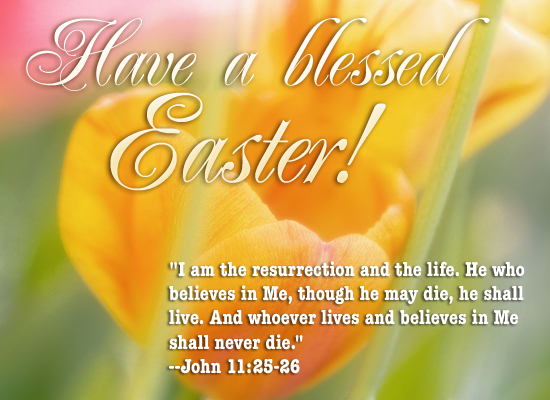 I wish everyone out there in Blog Land a very Happy and Blessed Easter! We’re getting ready for Easter! 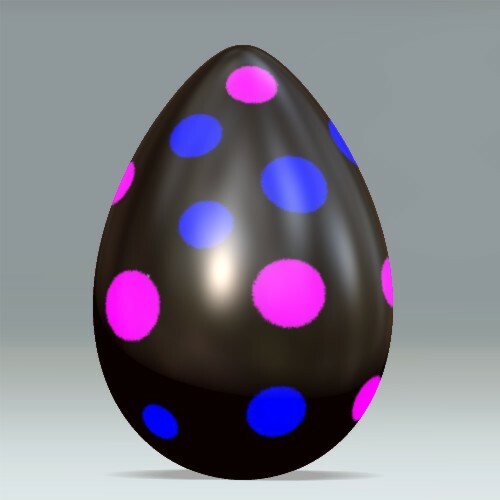 Today we made easter eggs – unique easter eggs. I wanted to use chalk to color in and make designs on our easter eggs. Sidewalk chalk has recently been banned where I work – and all the children were bummed about it because we just got 3 new containers donated to our class by a parent! So, I had to find a way for them to use all this nice, new chalk. Easter eggs were perfect. I really wanted the colors to jump off the paper so I cut black construction paper ovals for them to color like eggs. I know – not very conventional – but they actually turned out really cute once you get over the black issue! On the back of each egg I wrote the child’s name in glue and covered the glue in glitter. Very sparkly! I hung them all up this afternoon and the children were excited to see their creations all around the room! They always get very excited when they see any of their art going up on the wall.